Mr. Vogt's P.E. Blog: WELCOME BACK GATORS! 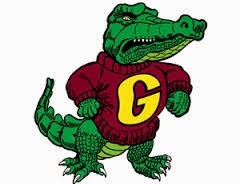 I had a great time reconnecting with all of our Glengary students last week and also enjoyed getting to meet our new Gators as well! For those of you who are new to Glengary, my name is Bob Vogt and I will be the student's P.E. teacher this year. 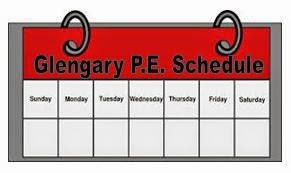 I am looking forward to a great year teaching all of our Glengary students about the importance of fitness, exercise and making healthy choices. I plan on using this blog to keep parents and families up to date on all the cool things your students are doing in their Physical Education classes! And one of my goals is to also begin using Twitter on occasion this year as well. I would like to include photos and videos of students working in the gym from time to time this year. I will be sending a note home with all students this week with a little more information about this. If you do not want your child's photo/image used on the blog, or Twitter, please return the note to school and I will make sure I do not use any photo's with your child's image in any of my posts. the gym's hardwood floor. If your child does not have gym shoes on a day that they come to the gym for P.E. they do have the option of borrowing a spare pair from me so that they are still able to participate. *I am not asking anyone to go out and spend $ on new shoes...but if you do happen to be shoe shopping, please consider velcro shoes if your child does not know how to tie their own shoes. And in the mean time, if you can spend some time teaching your student to tie their shoes, it will save all of their teachers lots of time at school and it installs a great sense of pride and accomplishment for your child! How Can You Contact Mr. Vogt? And you can also reach me on my school phone at (248) 956-3145. But since I am teaching during the day, I do not get to check my voice mail as often as I check email. And as always you are welcome to post comments on my P.E. Blog as well if you like. Thanks for checking out the latest edition of my P.E. blog and I look forward to sharing more news, pictures, and videos of our great students very soon!